¿Qué hago con mi hermanita? Here you're being introduced to direct object pronouns. Notice that when you help or take care of your younger sister, you aren't taking care of ella, but instead of la. It's the same in English - you don't take care of she, you take care of her. That's because you're the one helping, and your sister's the one receiving the help. 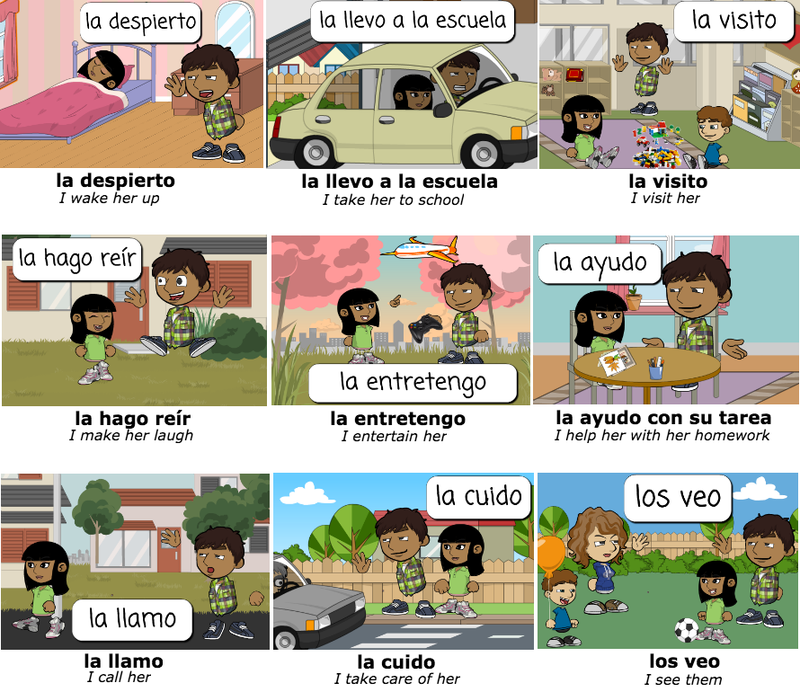 Notice too that in Spanish the object pronoun goes in front of the verb. If we did the same in English, it would look like Her I help, Her I visit, Her I take to school, etc. Use direct pronouns when you're doing something directly affecting another person or thing.